Ube3A (also referred to as E6AP for E6 Associated Protein) is a E3 ubiquitin-protein ligase implicated in the development of Angelman syndrome by controlling degradation of synaptic protein Arc and oncogenic papilloma virus infection by controlling degradation of p53. 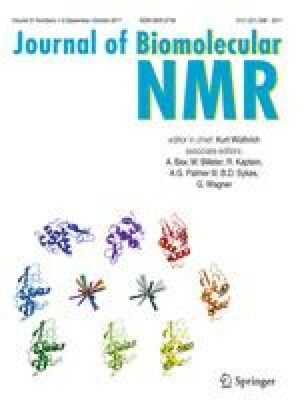 This article describe the solution NMR structure of the conserved N-terminal domain of human Ube3A (residues 24-87) that contains two residues (Cys44 and Arg62) found to be mutated in patients with Angelman syndrome. The structure of this domain adopts a novel Zn-binding fold we called AZUL (Amino-terminal Zn-finger of Ube3a Ligase). The AZUL domain has a helix-loop-helix architecture with a Zn ion coordinated by four Cys residues arranged in Cys-X4-Cys-X4-Cys-X28-Cys motif. Three of the Zn-bound residues are located in a 23-residue long and well structured loop that connects two α-helicies. Authors are thankful to Peter Loppnau for Ube3A constructs cloning. This work is supported by the US National Institute of Health Protein Structure Initiative (P50-GM62413-01 and GM67965) through the Northeast Structural and the Structural Genomics Consortium a registered charity (number 1097737) that receives funds from the Canadian Institutes of Health Research, the Canadian Foundation for Innovation, Eli Lilly, Genome Canada through the Ontario Genomics Institute, GlaxoSmithKline, Novartis, the Ontario Minstry of Research and Innovation, Pfizer, and the Wellcome Trust. CHA holds a Canada Research Chair in Structural Proteomics. IB is supported by grant 1P30GM092369 from the NIH.